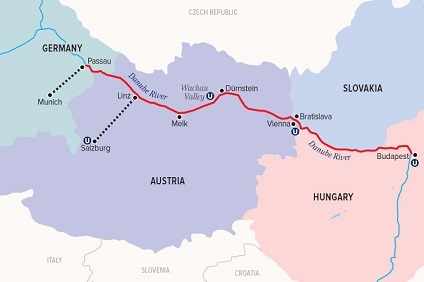 7 Night Cruise sailing from Budapest to Passau aboard Maria Theresa. 7 Night Cruise sailing from Bordeaux roundtrip aboard Bon Voyage. 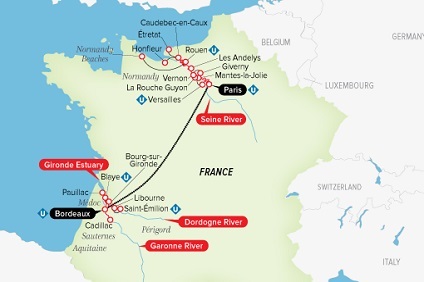 14 Night Cruise sailing from Paris to Bordeaux aboard Joie de Vivre and River Royal. 7 Night cruise departing from Avignon to Lyon onboard SS Catherine. 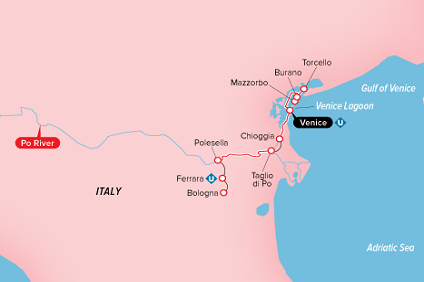 7 Night Cruise sailing from Venice roundtrip aboard River Countess. 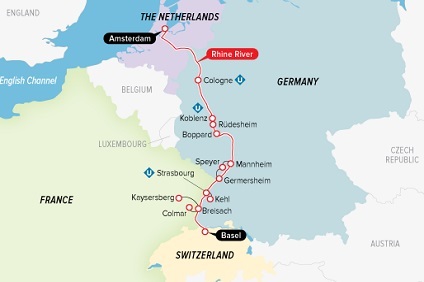 7 Night Cruise sailing from Paris roundtrip aboard Joie de Vivre. 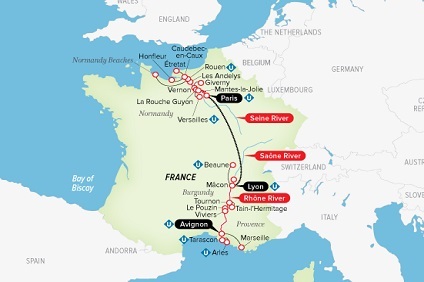 14 Night Cruise sailing from Paris to Avignon aboard Joie de Vivre and Catherine. 14 Night cruise departing from Avignon to Paris onboard SS Catherine and Joie de Vivre. 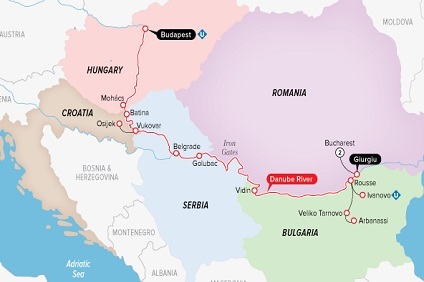 7 Night Cruise sailing from Giurgiu to Budapest aboard Beatrice. Hotel stays pre-cruise in Bucharest. 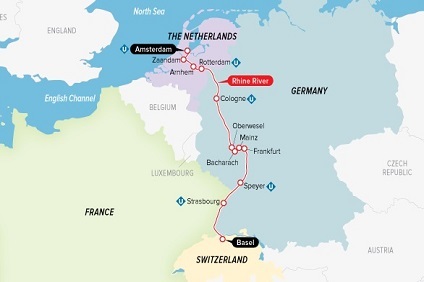 14 Night Cruise sailing from Giurgiu to Nuremberg aboard Beatrice. Hotel stay pre-cruise in Bucharest and post-cruise in Prague. 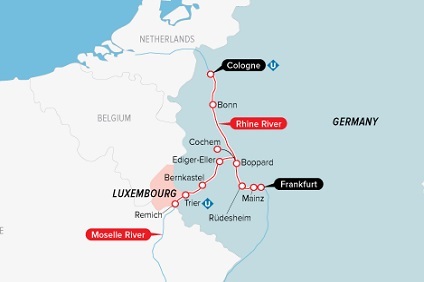 9 Night Cruise sailing from Frankfurt to Cologne aboard River Queen. 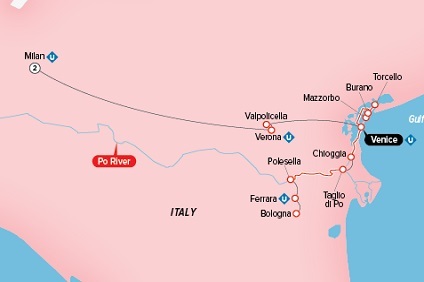 7 Night Cruise sailing from Venice roundtrip aboard River Countess. Hotel stay pre-cruise in Milan. 7 Night Cruise sailing from Luxor roundtrip aboard River Tosca. Hotel stays in Cairo pre and post-cruise. 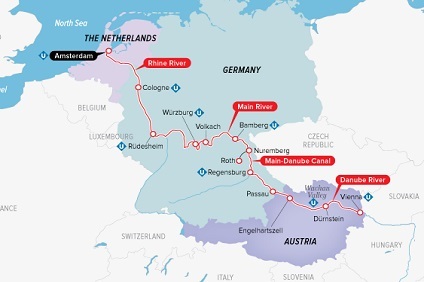 7 Night Cruise sailing from Passau to Budapest aboard Maria Theresa. 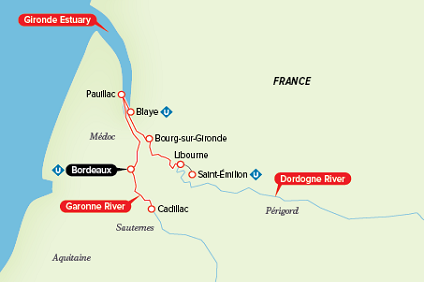 14 Night Cruise sailing from Bordeaux to Paris aboard Bon Voyage and Joie de Vivre. 7 Night cruise departing from Lyon to Avignon onboard SS Catherine. Full buffet breakfast, including made-to-order omelettes, pancakes, Belgian waffles, French toast, bacon and sausages to lighter fare—cereals, an assortment of homemade breads, pastries, fresh fruits and juices, fine teas and French Press coffee from organic pure Arabica coffee beans. Complimentary wine, beer, and soft drinks are offered on Europe cruises only. Dining choices may vary on cruises in Egypt and China. •	Travelling Lite: This was introduced to cater to those guests who are calorie conscious and prefer to have lighter meals. These guests now have the option of ordering from the Travelling Lite menu; this is just another example of Uniworld’s consistent focus on giving Uniworld’s guests more dining options. •	Food and Wine pairing dinner on itineraries featuring Uniworld’s Epicurean Adventure Program: On eleven of Uniworld’s Europe itineraries, they offer the Epicurean Adventurer Program, an added-value program designed to provide their guests with an in-depth insight into a regions food and wine. As part of the program, they offer a food and wine pairing dinner to take guests deeper into the wonderful world of wine and its relationship with food.